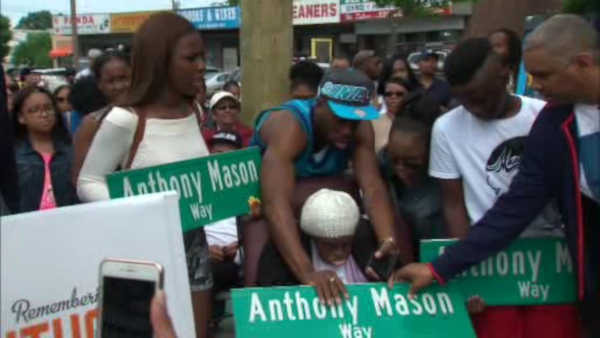 SOUTH JAMAICA, Queens (WABC) -- Former Knick Anthony Mason may be gone, but he is certainly not forgotten in New York...especially in South Jamaica, Queens. 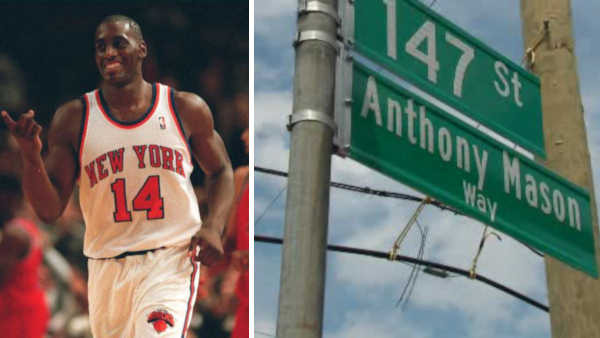 On Saturday, a section of 147th Street was co-named 'Anthony Mason Way' for the basketball star who passed away last year. Mason grew up in Queens before his 13-year NBA career.